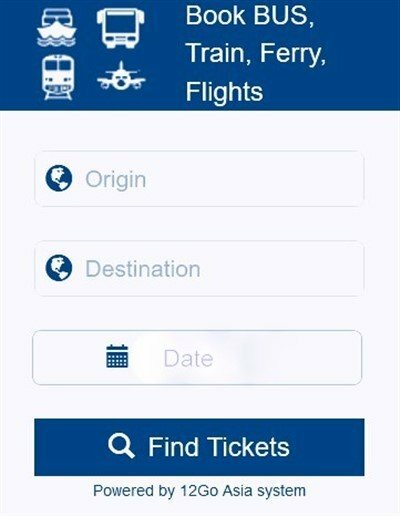 On this page you will learn how to get to the Southern Bus Terminal in Bangkok for buses to the Southern and Western provinces of Thailand. 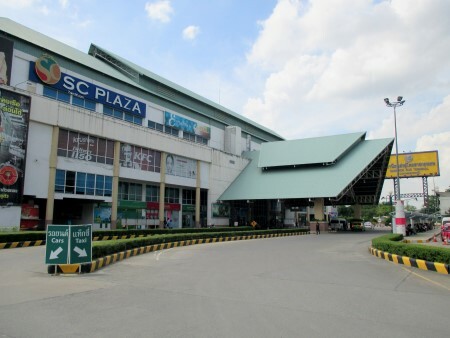 The Southern Bus Terminal in Bangkok (also known as Sai Tai Mai Bus station), should not be mistaken for the old Southern Bus Station which is nowadays only used as bus park and is located a few kilometres away on the same road (Boromratchonnani Road - ถนนบรมราชชนนี)..
You should be especially careful if you are using a GPS to go to Sai Tai Mai, as it is often the original station that shows on the map! 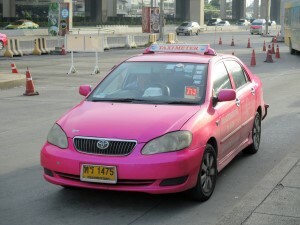 Boarding a taxi is probably the favourite choice of most travellers to get to and from the Bangkok's Southern Bus Station. It is because the station is quite far from the city centre and is not served (unlike for example, Mo Chit or Ekkamai) by the BTS Sky Train or the MRT Subway. 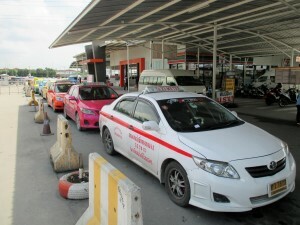 If you are travelling from Khaosan Road area to the Southern Bus Terminal, taking a metered taxi won’t be that expensive (100-150THB), however if you are coming from Sukhumvit area the ride risks being a bit more pricey! At the station there is a Taxi lane by the Minibus Centre. 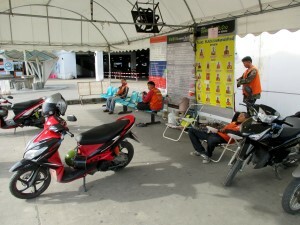 If you feel bold enough and are not carrying too many bags, you can get on a Motorbike Taxi to get to / from the bus station. 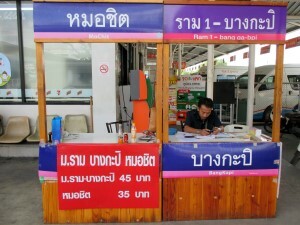 You can travel to and from Sai Tai Mai by boarding one of the many city buses that serve the bus station. This is by far the cheapest way to get to the Southern Bus Terminal, but you will have to allow yourselves plenty of time! Beside the Minibus Centre, you will find the City Bus Terminal from where the following city bus routes operate: # 28, 35, 66, 146, 507 and 511. 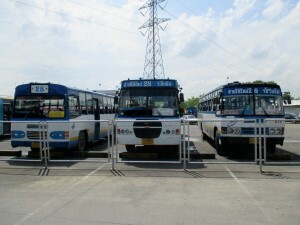 More city buses run on Boromratchonnani Road and make a stop right in front of the station: # 19, 30, 40, 57, 79, 123, 124, 125, 127, 128, 149, 159, 164, 170, 174, 177, 183, 201, 515, 516, 524 and 530. - Bus # 79 connects Democracy Monument, Khaosan Road to STM. - Bus # 19, 30, 123, 124 connect Sanam Luang to STM. 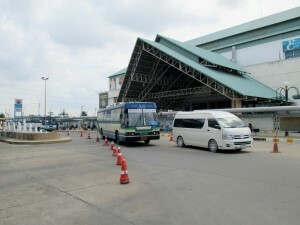 - Bus # 28, 159, 170 connects Mo Chit Northern Bus Terminal to STM. - Bus # 57 connects Wongwian Yai Train Station, Sririraj Hospital to STM. - Bus # 40 Route: Ramkhamhaeng, Ekkamai Eastern Bus Terminal, Thong Lo, Phrom Phong, Asok, Nana, Ploenchit, Chit Lom, Siam, Hua Lamphong Train Station, Yaowarat (Chinatown), Siriraj Hospital to STM. - Bus # 149 Route: Ekkamai Eastern Bus Terminal, Klongthoey, Lumpini Park, Sathorn, Saphan Taksin, Saint Louis Hospital, Sririraj Hospital, Pata, Pinklao to STM. - Bus # 164 Route: Wongwian Yai Train Station, Sathorn, Saphan Taksin, Sala Daeng, Ratchadamri, Central World, Ratchaprarop Airport Link, Victory Monument to STM.